Did You Know That The Parmesan Cheese You Love Is Probably Fake?Did You Know That The Parmesan Cheese You Love Is Probably Fake? 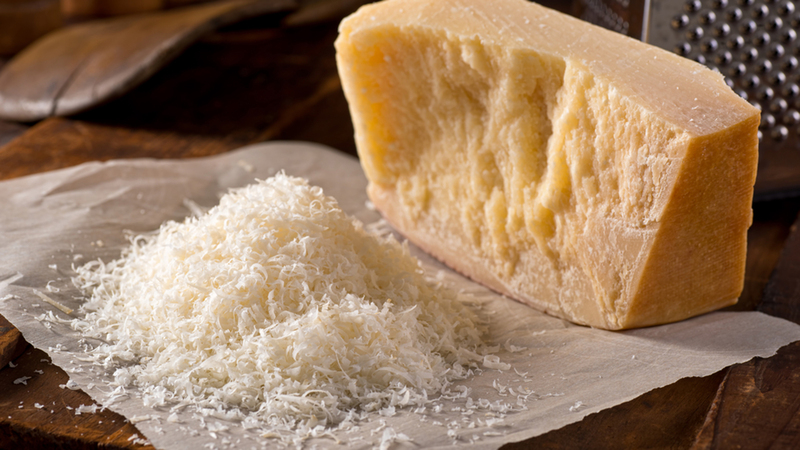 Did You Know That The Parmesan Cheese You Love Is Probably Fake? Home > Blog > RECIPES > What's New > Did You Know That The Parmesan Cheese You Love Is Probably Fake? Did You Know That The Parmesan Cheese You Love Is Probably Fake? Several restaurants across the world, and in India, offer Parmesan cheese as a delectable topping on Italian dishes. But did you know that the cheese you love sprinkling on your pastas and salads is probably fake? Actual Parmesan cheese is called Parmagiano Reggiano after the tiny region in northern Italy where it is produced. The only real Parmesan cheese in the world is produced here, and not anywhere else in the world. And it’s not for a lack of trying. Several companies around the world have tried to produce their own Parmesan but it cannot be the real thing. Parmagiano-Reggiano needs three particular kinds of good bacteria in it, which are native to this small Italian region. That is why real Parmesan cheese is quite expensive and rare. The process of making Parmesan cheese is quite long, tedious, and requires immense skill. According to the video below, a single wheel of Parmesan takes at least one year to mature. That’s why a pound of real Parmesan cheese costs over USD 11, which is about INR 800. It doesn’t sound like a lot, but have you ever paid that much just for extra cheese? According to Serious Eats, Europeans courts ruled, in 2008, that only Parmagiano Reggiano could be called Parmesan cheese. In Europe, no cheese manufacturers can call their products Parmesan if it hasn’t been produced in this region. Unfortunately, this ruling did not apply to American brands, which still sell fakes as Parmesan. In fact, the fake Parmesan cheese industry has gone as far as including wood pulp in the cheese. According to The Washington Post, even the cheese which is advertised as 100 percent Parmesan is likely to have impurities. Apart from wood pulp, manufacturers also mix in cheaper varieties of cheese like mozzarella, Swiss, and cheddar. So the next time you order extra cheese with something or ask for more shavings of Parmesan on your Caesar salad, ask where it’s from first. Chances are, it’s not Parmagiano Reggiano.